I HAVE NO SECRETS - Penny Joelson. Published: 2017 - by Electric Monkey. Triggers/Content Advisory: Very mild sexual innuendo. I opened this book without knowing anything about it. It looked interesting, but the cover didn't grab me. The premise sounded ominous, but didn't say much about the story. So I started reading. And I thoroughly enjoyed what I read. The story is perfectly paced. It's fast, easy-to-read, and constantly entertaining. I was never bored nor did I feel the need to put the book down. It's not gripping, exactly, but it is engaging - incredibly so. Unfortunately I found the dialogue very disappointing. It's bland and boring, and there's no spark or excitement to it. I like the writing, but similar to the dialogue it isn't profound or brilliant. It falls short of poetry, but it still isn't bad. It's well written; though it could've been better. I love how real the story is. Joelson grounds it firmly in real life with all the typical ups and downs; it's a tragic story, gut-wrenching and painful, and she never shies away from all that. There's no fluffy, sugary coating or happily ever afters. There's real disappointment, real loss, real pain, and there's also hope. It's extraordinary. But I guess sometimes there is nothing you can say. It's just being there that's important. I've realised something important. Being able to communicate doesn't mean that anyone's going to listen. The characters are generally great. I love the humanness of everyone, and the tender but unflinching way Joelson handles their mental health issues and disabilities. Finn's autistic, Olivia's bipolar, and Jemma's quadriplegic, and they all get such depth and good representation. I love how Joelson writes them - I personally know people who are autistic, quadriplegic and bipolar, and I think Joelson gives her characters the voices they deserve while also making sure they get heard (one way or the other). I don't love Jemma's character, but I like her. Still, her narrative voice through the entirety of the novel is spectacular: rich, compelling, full of personality, and raw with strong emotions. She's such a fascinating, admirable heroine, and I felt all her pain, all her joys, as if I myself was in her shoes. The other characters could've used more depth. Sarah's the only one I feel was fully three-dimensional, but I did like the dynamic between her and Jemma's mum; that gives the story some much-needed relationship conflict. Everyone else is well written, but for characters like Dan, Richard, Jodi and the carers, I wish they were more vivid and rounded-out. 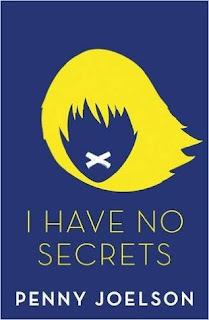 I Have No Secrets is a deep, thought-provoking, entertaining read that will have you cheering and crying at the same time, over and over again. It's heartfelt, unflinching, and gives mental health and disability superb representation. I had some issues with the characters and the dialogue, but overall it's a great story I definitely recommend. It is! And very sad ;) Thank you! Sounds like an interesting read! Even with the lackluster dialogue, the concept of having information that needs to shared but not being able to easily share it sounds intriguing. It definitely is! And yeah, true :) It's very unique.